Communities urged not to damage rock art sites - SABC News - Breaking news, special reports, world, business, sport coverage of all South African current events. Africa's news leader. The book was first published in France to introduce that country to Africa's hidden gems. Archeologists and researchers have called on communities and visitors of rock art sites not to damage the age old art. There have been reports of vandalism at some sites. A New book ‘Visionary Animal’ featuring images of rock art from several countries has been launched. 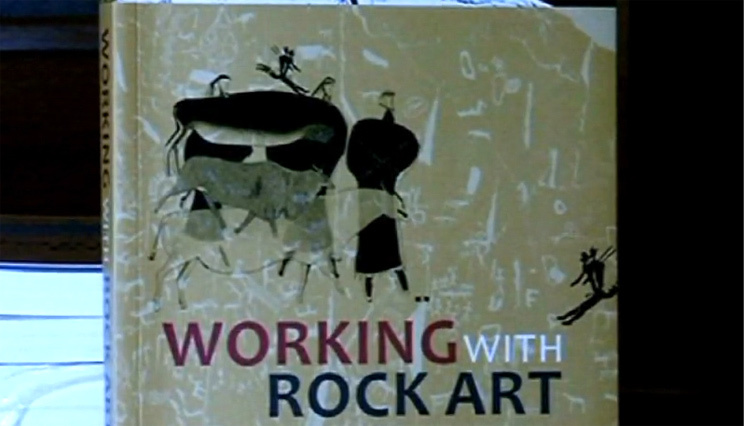 The book is a collection of essays on rock art, illustrations and photos. Researchers say it’s a comprehensive collection that will keep them busy for years. The history behind San people’s ancient paintings and carvings remains intact. This form of communication is now celebrated art and it’s still getting attention from researchers. The San people left their trail through their interactions with the spirit world littered across several African countries as they trekked in search for food and water. “The fact is that the paintings are not just passive things they are not just illustrative things, they are living agents and they were designed in order to act in reality maybe to connect to different things and different beings but also spiritual forces in order to improve the living situation of the people,” says the author, Renaud Ego. The new book features images from South Africa, Botswana, Namibia and now also Zimbabwe. A new insight for researchers. “For a long time he has spoken about how we need to go back to the rock face to appreciate the paintings and engravings and the events of their production… How they were made, how they have relationships with the rock face and people and how they endure into the present and how do they speak to us now,” says Archeologist, Prof. David Morris. The book was first published in France to introduce that country to Africa’s hidden gems and it has more images and more research. This entry was posted on 25 Mar 2019,08:14PM at 8:14 PM and is filed under Lifestyle, News, Homepage Latest Stories Slider. You can follow any responses to this entry through the RSS 2.0 feed. Both comments and pings are currently closed.